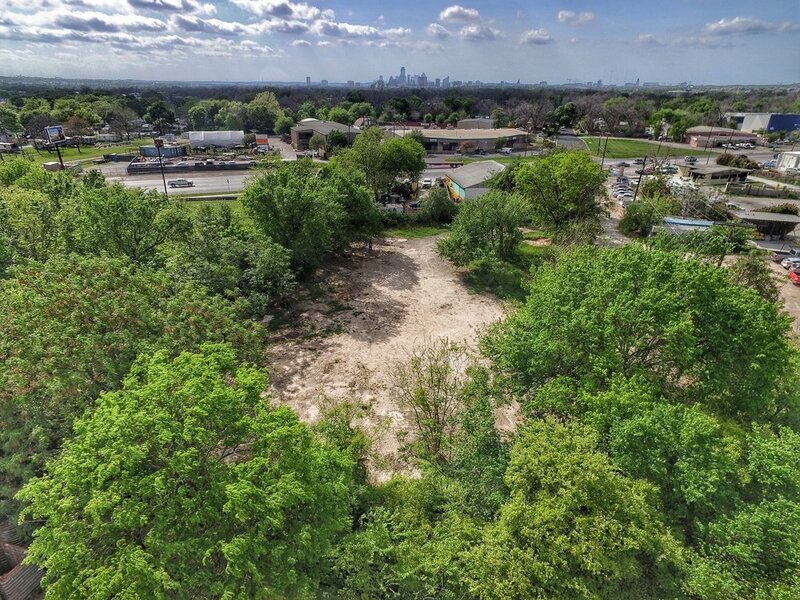 In October 2018 Co-Lab Projects acquired a .62 acre property on Glissman Road where we will develop a nonprofit owned and operated studio complex, gallery, and outdoor performance venue – the only one of its kind in Austin, Texas! After a four year search for a new space we decided the best use of our savings would be to invest in a long-term solution for our growing organization by purchasing our own property, insuring we will not be displaced in the future via rising rent and property taxes. 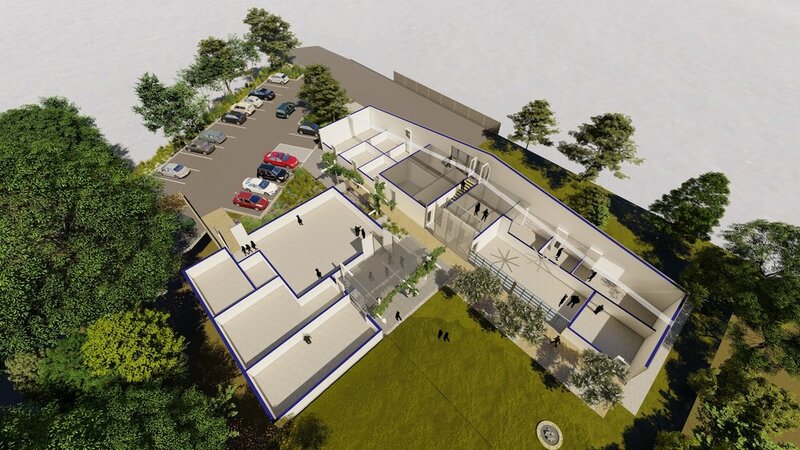 Below is a proposed site plan illustrating what the future space will look like. 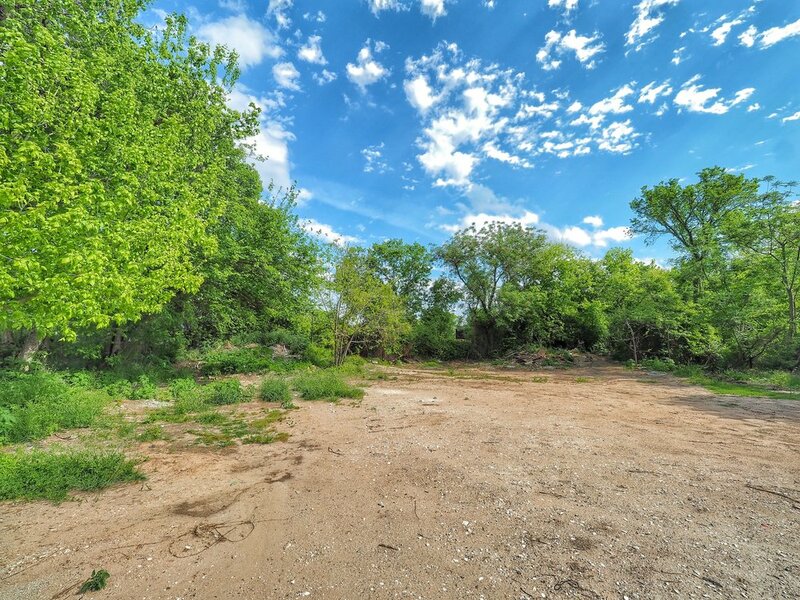 Please stay tuned as we move forward with this project and keep an eye out for the multitude of ways you can help us transform this property into a site of sustainable cultural resources well into the foreseeable future. Find out how to become a sponsor or donate today by visiting the Support page of our website! Visit the Glissman property during special events and by appointment. 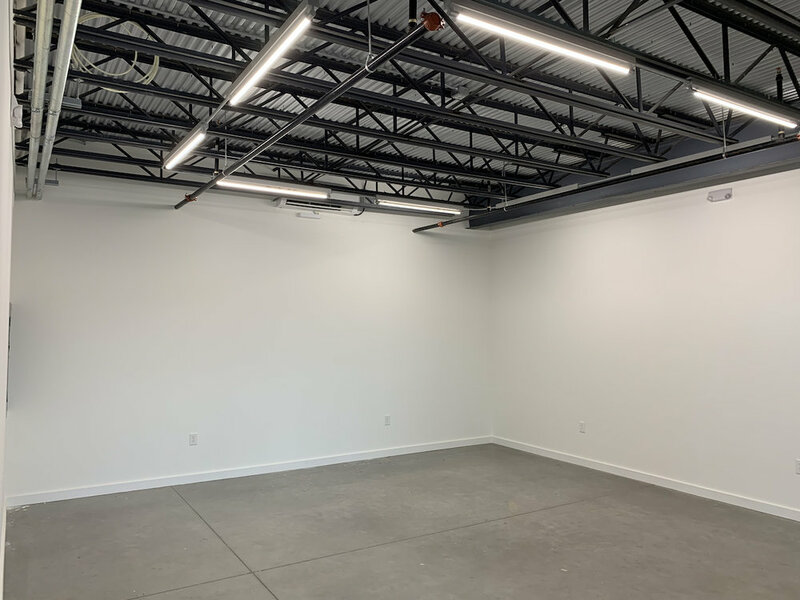 During the fundraising and construction periods of the Glissman Road project, we will be operating a modest gallery space in Building 1 of the brand new Springdale General complex. 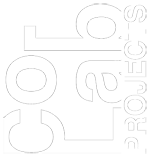 We anticipate that surrounding ourselves with other creatives, nonprofits, and startups should offer new and interesting opportunities to expand our audience base, circle of collectors, and organizational donors. Visit the gallery at Springdale General at 1023 Springdale Road, Suite 1B, Austin, TX 78702. Hours: Tuesday - Saturday, 12-6pm. 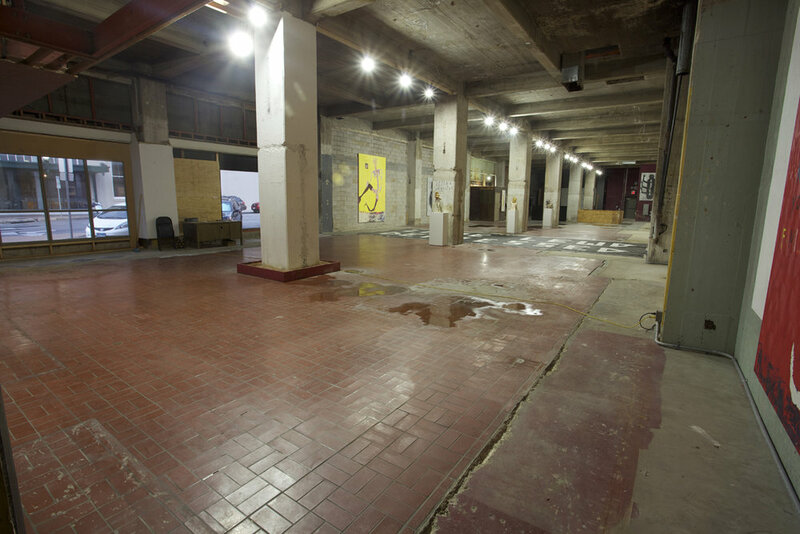 Originally activated for the exhibition LAME, LEWD, AND DEPRESSED in 2013 then generously provided by Congress Development Partners for exhibitions and events from 2016 through 2017, DEMO was a temporary gallery located on 8th and Congress in downtown Austin. The name playfully invoked the temporality of this space as the existing structure will be demolished and car-free high-rise apartments built in its place. At this exhibition site we expanded the scale and calibre of our programming, exposed new audiences to our organization and mission, and continued building support for the construction of our new studio and gallery space. Project Space was our first home, headquarters, and primary event space located in east Austin. 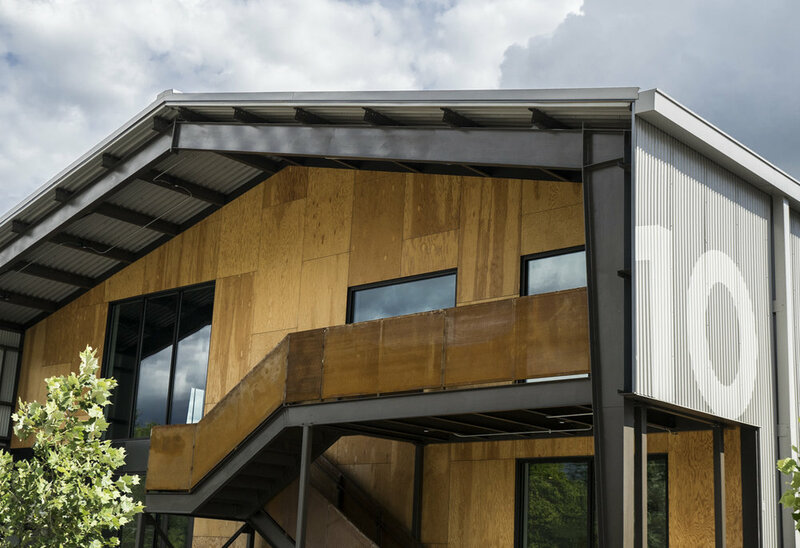 The property was roughy a 1/4 acre and featured a white cube gallery, outdoor mural walls, screening area, and a large yard complete with fire pits, seating areas, garden, and covered deck/bar. 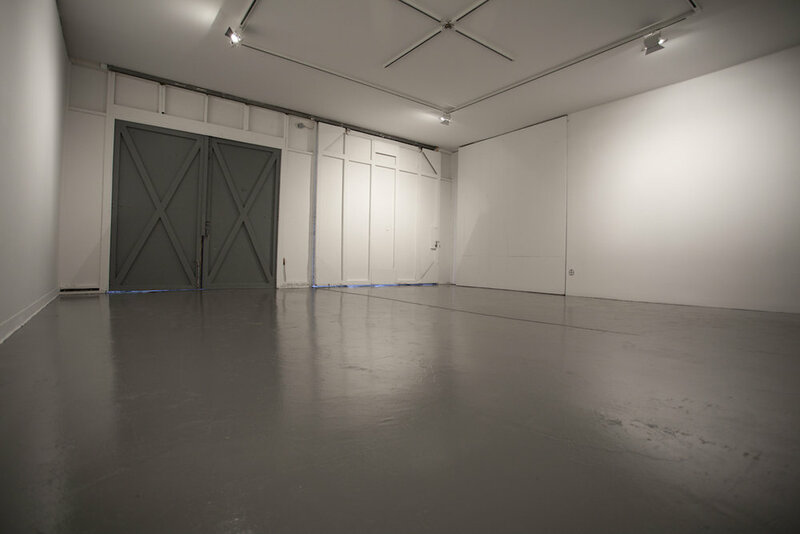 N Space was a gallery space occupying the ground floor of Nelsen Partners Architecture Studio on Congress Avenue. 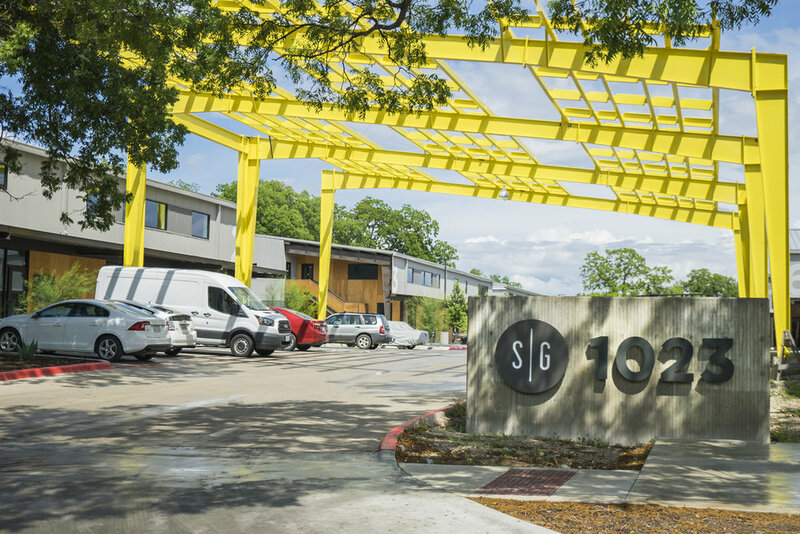 It served as a testing ground for a rotating selection of contemporary art meant to complement work customarily exhibited at Co-Lab Projects' main space in East Austin. 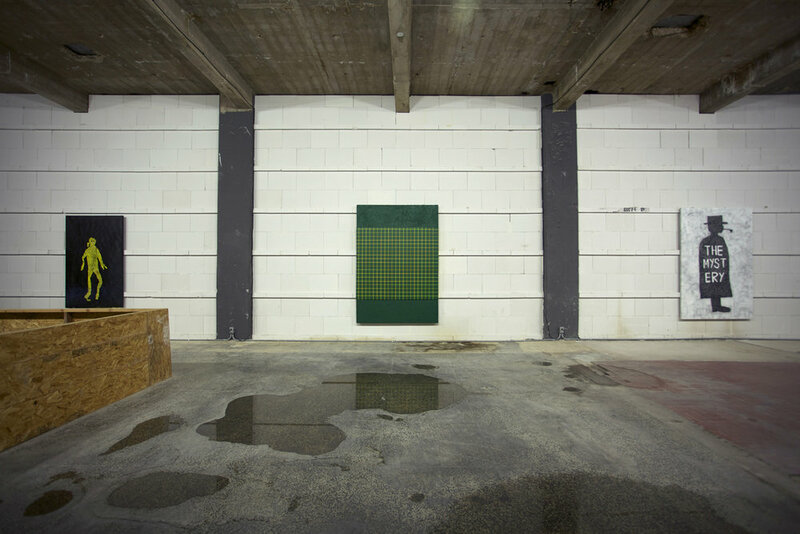 The space consists of a lobby, a long hallway typically used to display large scale two dimensional work, as well as a small installation room.